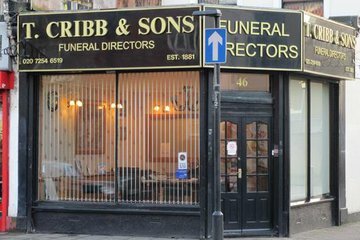 Compare funeral directors in Hackney and read verified reviews on the UK’s online funeral resource. Use Funeral Zone Listings to find local funeral directors in Hackney that meet your specific needs. You can organise the search results by ‘best rated’, 'nearest' or ‘most reviewed’. There is also a handy Google Maps feature so you can see exactly where each funeral home is in relation to each other. Excellent service from start to finish. My father had a fantastic send off this would not have been possible without the funeral directors help. They are friendly and considerate and feel like i have gained friends. My sisters and I visited the parlour with our mum,we had just lost our father,quite suddenly.We were looked after by Kevin who was very kind and sympathetic.He talked us through the whole procedure taking care to ask the very personal and painful questions with the utmost sympathy and respect.Myfamily would definitely recommend this company as we were very happy with everything that we had arranged ,also the other staff ,and the drivers were very friendly .We also liked the idea of a memorial star at Christmas,many thanks Mrs Sheila Deathridge and daughters . 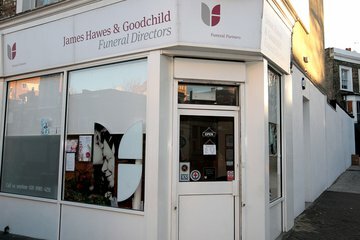 I would highly recommend James Hawes Funeral Directors. My family have used them twice now and have been extremely happy with the attention to detail in conducting the funeral and also offering advice on other matters when a death occurs. They took time to know the names of all the immediate members of the family and consulted with us every step of the way. We were offered every help imaginable and the respect shown for us and our dear loved one was very comforting. A special mention to Kevin Avery at Well Street Hackney for all his help and also to Peter who was in charge of the funeral on the day. Thank You all. I had the best service you could have asked for Staff are friendly and polite and the service was outstanding both leading up to the funeral and during the funeral. The after care is amazing. I feel like I have not only arranged a brilliant funeral with this office but have made some great friends too Thank you.